Setting up your wedding registry might be one of the most fun parts of wedding planning. 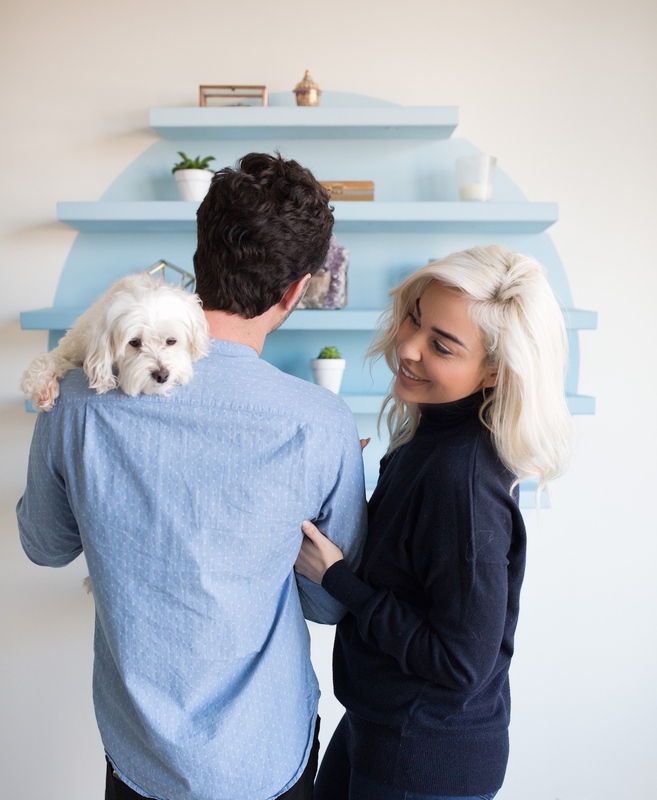 As you and your partner are combining your lives you have a chance to shop and design your new home together. 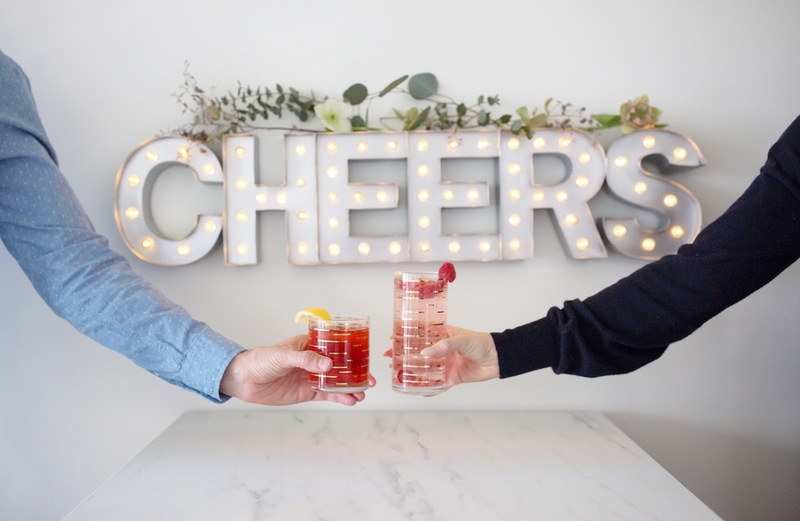 We were so excited to set up our registry with Bed Bath & Beyond because of its impressive assortment of brands and products from the bedroom to the kitchen and well beyond! Regardless of where you live, chances are you have a local Bed Bath & Beyond filled with everything your heart and house may need. Their inventory is consistently updated and the variety will leave you in that store for a whole day (and I’m not mad about that). The best part of registering is touring the store with the registry gun! Honestly it was like shopping spree with someone else’s credit card. Shout out to Josh, our registry consultant, who was a fountain of information. I swear this guy knew more about household appliances than anybody I’ve ever encountered. He really helped us pull together a list of items that both my partner and I were so excited about. Building our registry was an absolute blast, I already lived with my SO, so we selected items that would step-up our design and entertaining game! When registering its super important to find items that both you and your partner can enjoy, things that are worth the investment, and items that are timeless staples. We committed to a color scheme- of chromes and blues which made it a lot easier to build out our registry. Bed Bath & Beyond has so many options for appliances and every shade possible for linens so having a theme and color palette streamlined our shopping. 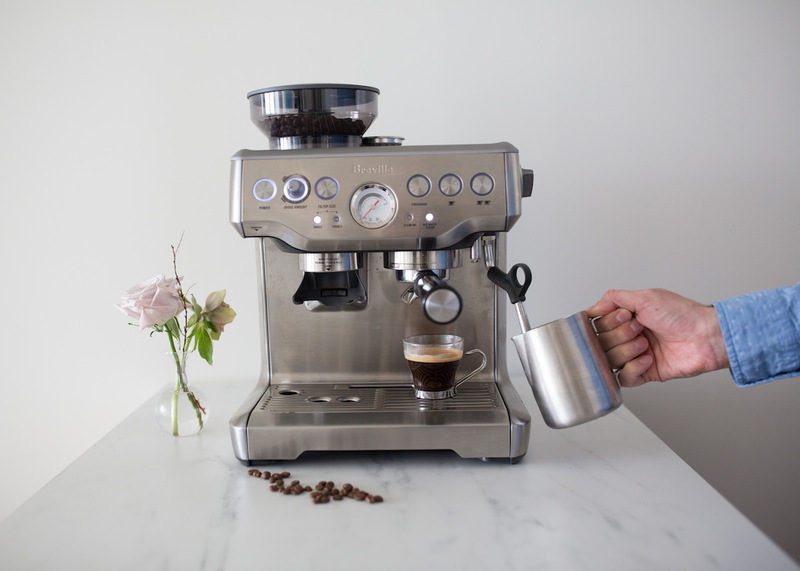 I’m a coffee aficionado and this Breville espresso machine makes the most delicious brew. It’s like having a barista in your kitchen! We also added these adorable espresso cups perfect for a midday coffee pick me up. Keeping your coffee fresh is key, so we added these airtight stainless steel canisters to store our beans. Ps. 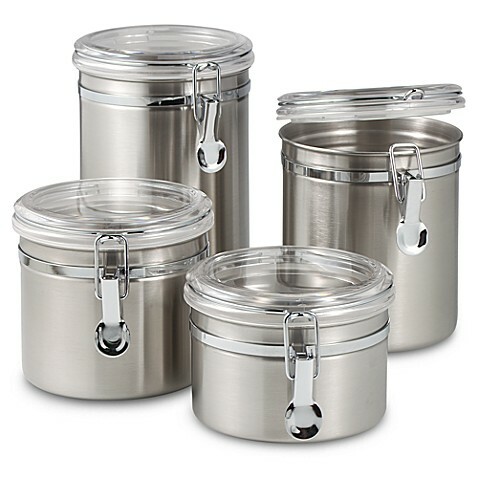 these steel containers are perfect for beautifully organizing your pantry. We both love to drink sparkling water but buying cases of it feel like a waste. This Sodastream is a godsend. It’s perfect for making cocktails and mocktails which always dazzles guests. Serve them up in beautiful glasses like this set from Mikasa. 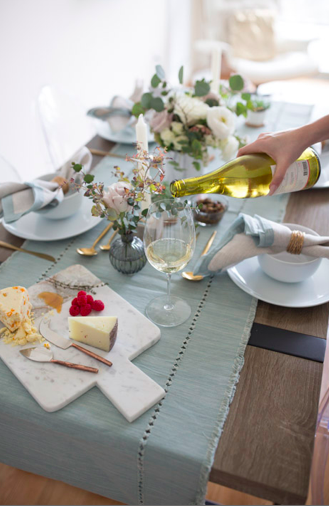 We love hosting dinner parties at home and our dinner table is the focal point. 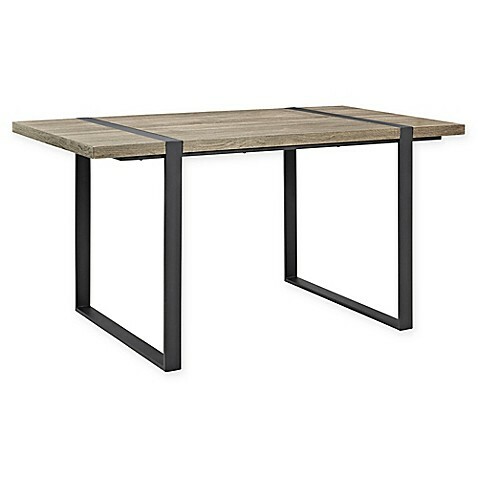 We upgraded our dining table with this urban and industrial dining table. This was one of our pricier items on our registry but totally worth it. 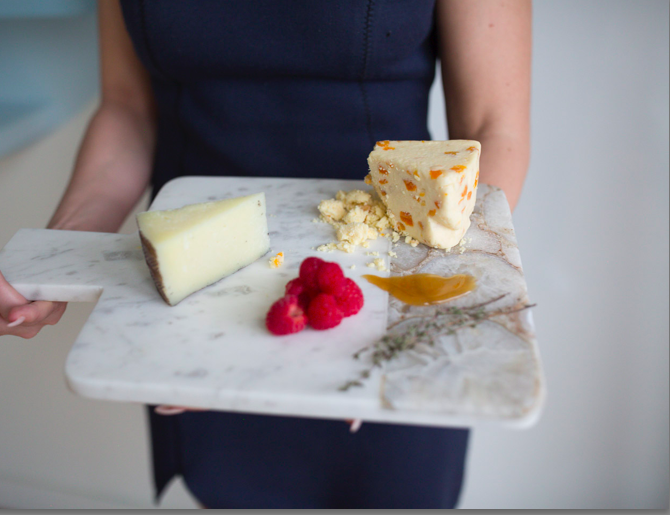 We also added some gorgeous serving boards like this marble and agate platter! We use it all the time for appetizers and serving cheese to our guests. When it came to our dinnerware we opted for something super simple, these organic shaped plain white dishes. We wanted something versatile, that we could dress up or down depending on the occasion! 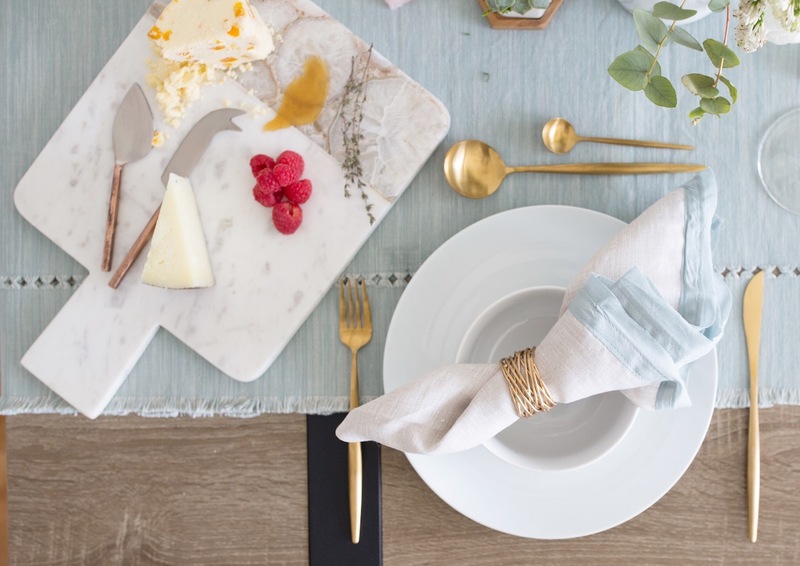 To add a little sparkle to our tabletop we got these adorable brushed gold napkin rings. What’s a dinner party without wine? Having a wine fridge is a game changer and total luxury. We were excited to add this dual-zone wine fridge to our registry. We also added staple crystal wine glasses and of course, the Rabbit aerator. My partner and I try to live a clean and healthy lifestyle. 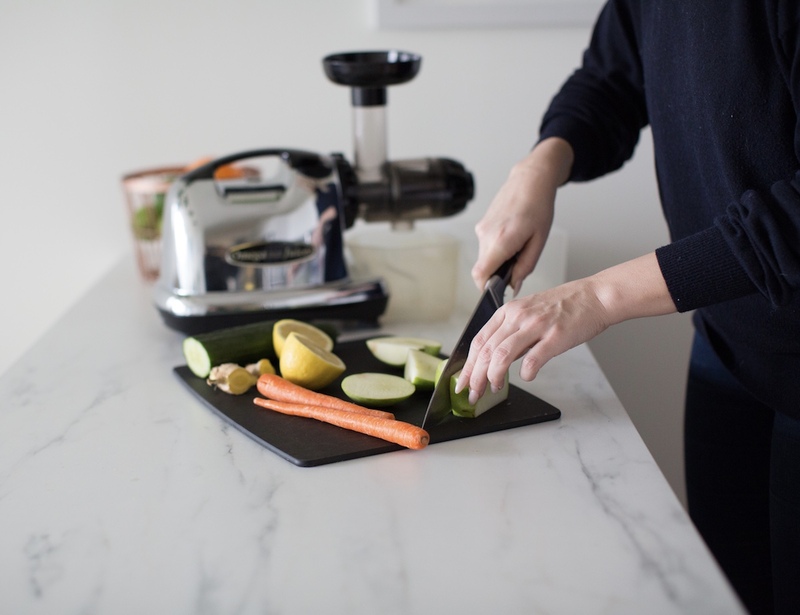 So we were stoked to add this Omega Juicer to our registry. 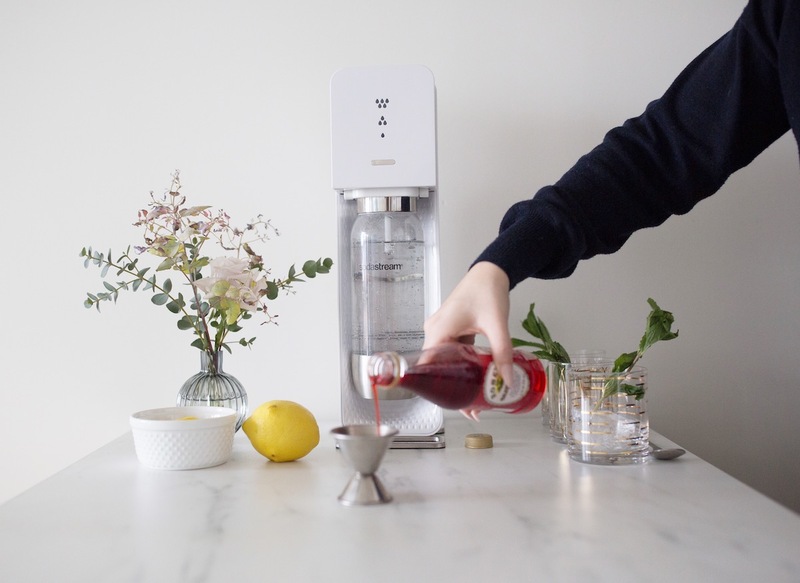 In our opinion its the best juicer on the market, super easy to use with minimal cleanup. It also comes with a 10-year warranty so if anything breaks you are covered! (Bonus: It doubles as a pasta maker). We also registered for a new set of cutting boards and these chef knives! 1. When registering for items is to pick things that you know you’ll really use often. Since your friends and family will be gifting you these items, seeing items that are on there that speak for itself will make the purchases justifiable. 2. It’s important to add items that are in various price ranges. 3. Add a few “splurge” gifts. Your wedding registry is the starting point for celebrating your new life as a couple. So add a few big items that you and your partner will enjoy long after your wedding day! Want to see our selects? Check out all our favorite registry picks on our Bed Bath & Beyond style maker spotlight!